As the Texas legislature considers bills this session creating new occupational licenses or adding new requirements to existing licensed occupations, we wanted to give a broad overview of the approach we take to offering vote recommendations on relevant bills. First, consider the following data. While precise and up to date numbers can be difficult to pinpoint, we know that as of 2009 Texas regulated 514 professions, including 34 lower income professions. According to a report published by the Obama White House in 2015, 24.1% of Texas workers need an approval slip from the state to go to work in their chosen profession. This is particularly troubling when considered against the fact that the same report notes that only 20.7% of workers in the regulatory empire of California are required to obtain an occupational license. According to a national study conducted by the Institute for Justice in 2012, the average cost to obtain a license in Texas is “$304 in fees, 326 days of training, and two exams.” For some professions such as fishers, licensees pay fees as high as $4,800. 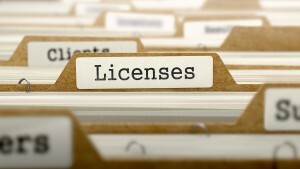 In past sessions the legislature has acknowledged that licensure is a problem, taken steps to reduce the burden of licensure, and eliminated licensing altogether for some professions. It is our view that all sunset bills dealing with licensed occupations should reflect changes to licensure consistent with the mandate from the 83rd Legislature’s HB 86. We oppose bills which add new, onerous requirements to licensed professions such as mandatory fingerprinting and background checks, without at a minimum offsetting those new requirements with counterbalancing repeal of other requirements. Some ways to provide a counterbalance include significant reduction or revocation of fees, reduction in required continuing education hours, reduction of the number of hours of required training to obtain a license, or increasing the length of time a license is valid before it must be renewed. If enough counterbalancing provisions are included in a bill that adds new burdens to licensed occupations, we may view that as a wash in terms of net state regulation of private industry and remain neutral. We support bills which reduce the burden of licensure without adding any new burdens, or which eliminate license requirements altogether. The principles of free markets, limited government, and individual liberty are infringed when new licensure requirements are invoked by the state. These principles are uplifted when the regulatory burden of licensure is reduced or eliminated. We encourage policymakers to approach licensing with a view toward creating the lightest regulatory touch possible in order to foster free and fair market competition. The Institute for Justice has done yeoman’s work in researching the pervasiveness of the licensing problem. Their 2012 national study, License To Work, which gives an in-depth report on the status of licensure in every state, should be required reading for policymakers working on licensure issues. Guild-Ridden Labor Markets: The Curious Case of Occupational Licensing by Morris M. Kleiner, which describes in easily readable language the history of occupational licensing in the United States, demonstrates the clear connection between licensure and industry protection.